For over 41 years, Professional Sounds continues to be Ohio and Michigan's premier professional award winning disc jockey company that does so much more than just play the best dance music. Consider us your DJ, professional announcer, emcee, host and qualified event planner all in one. Professional Sounds is Toledo's most awarded, most referred, and most experienced professional DJ Company. 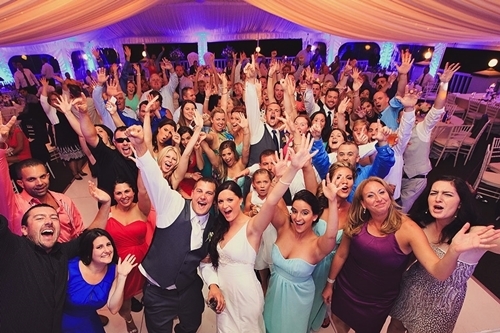 We have successfully planned over 14,000 memorable weddings, parties, and events with personalized planning. Decade after decade our clients continue to trust Professional Sounds to DJ their wedding receptions and ceremonies, corporate events, parties, class reunions and school events. Professional Sounds was chosen as the best DJ Company for 2019, 2018, 2017, 2016, and 2014 for NW Ohio and SE Michigan by the Knot. In addition, Professional Sounds was also inducted into the Knot's Best of Wedding DJ's in America Hall of Fame in 2015. in 2017, Professional Sounds was chosen as the best DJ Company in Toledo by the Toledo City Paper. When planning your next event, one of the most important decisions to make is choosing the best entertainment. Call us today at (419) 385-6400 or (734) 847-4747 to receive sample DJ videos, a price quote and company information sent to you with no hassles or obligations. You can also schedule a meeting at our business office to plan your special event.